Oct. 5, 2016, 11:35 a.m.
By Ricardo Bilton @rbilton Oct. 5, 2016, 11:35 a.m.
Anxy founder Indhira Rojas wants everyone to stop pretending that they’re okay. Social media, she says, has been a great way for people to share even the smallest details about their lives. The problem: Social media sharing is a kind of performance, one that often hides the not-so-rosy realities of people’s inner selves. “Things aren’t nearly as perfect as they might seem,” says Rojas, who has been open about her struggles with sexual abuse, anxiety, and workaholism. With Anxy, Rojas wants help draw out similar openness from others. The biannual print magazine, which is so far only a Kickstarter campaign, is setting out to make a new home for the kinds of deep, complex conversations about mental health that people usually have in private — or often not at all. Its content, which in each issue will revolve around a central theme such as anxiety and depression, will include a mix of reported features, photography, illustrations, and personal essays meant to ask questions rather than answer them, and start conversations instead of end them. Now is a good time for something like Anxy, Rojas thinks. While there has long been some reluctance about publicly sharing personal struggles, there’s evidence that things are changing. With his WTF podcast, for example, comedian Marc Maron has helped expose the inner lives of well-known celebrities, who, as it turns out, suffer from many of the same kinds of anxieties and personal traumas that normal people do. The same goes for BuzzFeed’s Another Round and Call Your Girlfriend, two podcasts that regularly touch on mental health issues. Likewise, the likes of Medium, Vox, and BuzzFeed have also become significant sources of personal essays focused on mental health. Jennifer Maerz, Anxy’s editor-in-chief, said like these shows and sites, Anxy wants to help normalize some of the conversations about mental health. “It does seem like, from this massive group of people wondering what’s wrong with them, there are people taking a lead and trying to elevate these kinds of conversations,” she said. The Anxy staff has already started some of these conversations online. Rojas, Maerz and other Anxy staffers have taken to Medium over the past few days to share their own experiences with mental illness, touching on their personal histories of alcoholism, depression, and the relief of discovering that they weren’t alone with their struggles. 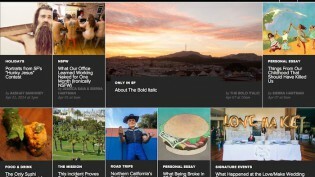 Rojas and Maerz worked together at Gannett’s San Francisco site The Bold Italic, where they were interaction design lead and editor-in-chief, respectively. As with The Bold Italic, which focused on the personal stories of people living in San Francisco, Anxy is designed around the idea that mental health conversations are most compelling when people from many different backgrounds and perspective take part in them. To that end, one of the magazine’s initial goals will be to build a diverse pool of freelancers eager to tell their stories. “There are a lot of different points of view that you don’t see when you’re talking about mental health. The more people we can include, the better the overall product will be,” said Maerz. Anxy’s print focus is intentional. While there are plenty of conversations about mental health happening online, those conversations are, by virtue of being online, effervescent. “We want to use print as a public statement,” says contributing editor Kati Krause, noting their goal “to create something that people are proud to be seen with in public.” The print magazine is putting design at the forefront. Rojas compared its approach to that of high-quality print magazines such as Monocle and Kinfolk, whose design focus have helped deepen the brands’ relationship with readers. Anxy won’t be giving up on the web entirely, however. While the publication will focus primarily on print, there will also be a digital component — either through a daily blog, a monthly newsletter, or some combination of the two. “We’re not ever going to be posting ten times a day, but we do want to offer as slow moving a digital presence as we can while still connecting with our audience, said Maerz. While the first issue of Anxy won’t go live until next May, the magazine’s approach has already helped it attract some attention. Celebrity doctor Drew Pinsky, for example, plugged the magazine on his Facebook page, and Anxy is halfway to its $50,000 Kickstarter goal. Anxy is still in the early phases of working out its business plan, but it hopes that the early interest is evidence that there’s significant enough demand for its product. POSTED Oct. 5, 2016, 11:35 a.m.
Bilton, Ricardo. "Building off online, new print mag Anxy wants to help normalize conversations about mental health." Nieman Journalism Lab. Nieman Foundation for Journalism at Harvard, 5 Oct. 2016. Web. 24 Apr. 2019. Bilton, Ricardo. 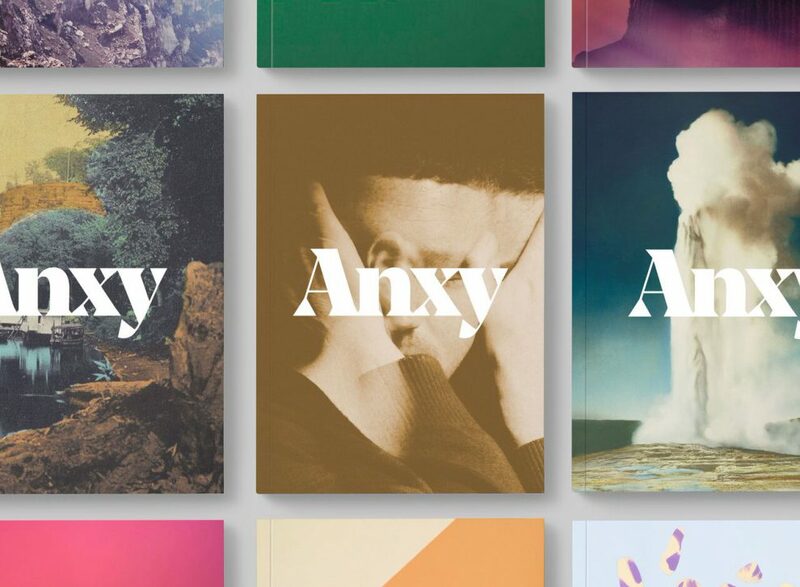 "Building off online, new print mag Anxy wants to help normalize conversations about mental health." Nieman Journalism Lab. Last modified October 5, 2016. Accessed April 24, 2019. https://www.niemanlab.org/2016/10/building-off-online-new-print-mag-anxy-wants-to-help-normalize-conversations-about-mental-health/.